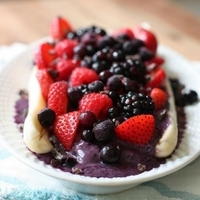 Recipe by Katie Cavuto, MS, RD, of Nourish. Breathe. Thrive. In the blender, combine the cinnamon and walnuts and pulse to form a crumb-like texture. 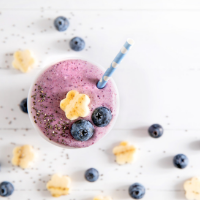 Remove the majority of the crumble from the blender and set aside. Add the remaining ingredients to the blender. Blend and add ice to thin as needed. 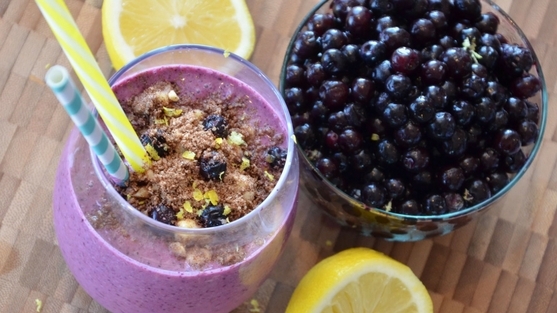 Mix the walnut crumble with the remaining frozen Wild Blueberries and use to top the smoothie.